Deep within the foundations of the Nighthold, beneath the sea, lie long forgotten vaults that give access to Nightwell itself. This monstrous armored scorpid has made its home in one of these vaults. Infused with the power of the Nightwell, and surrounded by teeming brood, Skorpyron presents a serious complication to an otherwise promising back entry to the Nighthold. In this encounter, you will fight a big scorpion (the boss) and smaller scorpion adds that spawns from time to time. This fight is about controlling the boss positon and the adds that spawns all the time. Healers and dps stacks together and moves as one all the time. There are 3 types off scorpion adds that spawns from time to time. Each scorpion has its own ability and need to be tanked on specific positions. Big Shards from the boss falls on random positions which the raid needs to use as protection when boss does shockwave. If you go with 3 tanks, then 1 tank will be on boss and 2 tanks on adds. 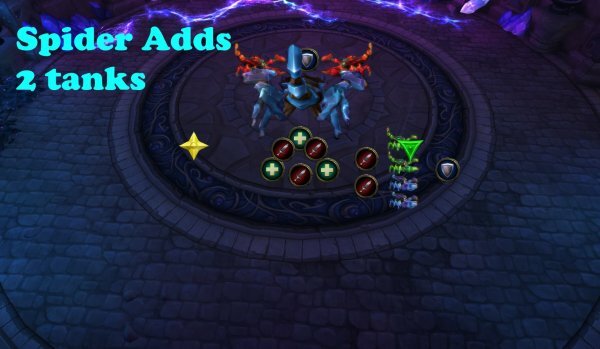 Also, adds do a lot of damage on tank, so having an extra tank on adds will make it easier for tanks and healers. 1 tank (Main tank) on in front of boss. 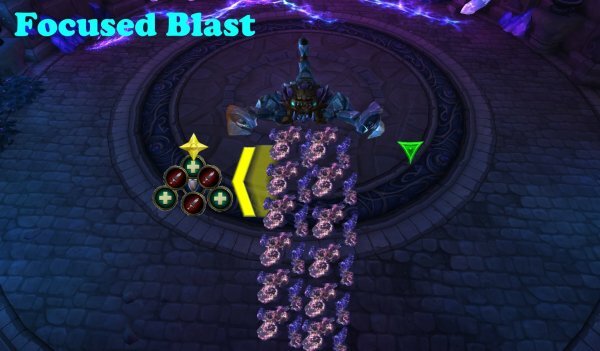 Move to the left side (star) when boss does Focused Blast. 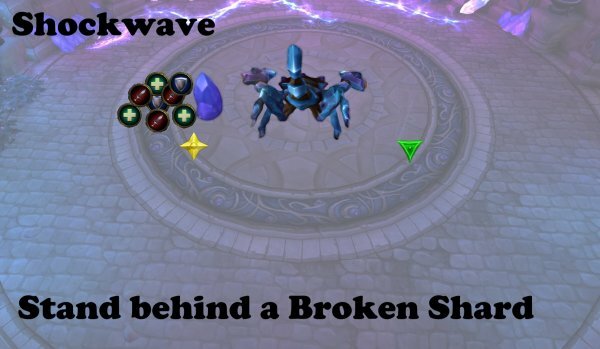 Move behind a Broken Shard when boss does Shockwave. Off-tank on right side (green) when adds spawn and tank small adds there. Main tank tanks red adds (if 3 tanks, the 3rd tank will tank red adds behind raid). The boss spawns several scorpion adds that spawns from the outer area. Each type of scorpion has its own ability but all types have 2 shared abilities as well. Sends a shock of arcane magic at a target doing arcane damage and a stacking debuff that lasts for 3 seconds (doing dmg every half-second). Increases haste by 100% on nearby scorpion adds. Creates pools on the ground periodically and also after death. After some time, the adds increase damage by 5% and it stacks. 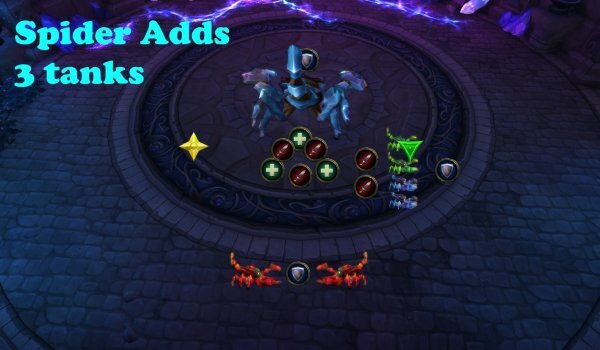 The adds are immune to AoE spells until entering combat. In front of boss, make sure he is facing away from raid. Tank small scorpions (Crystalline and Acidmaw) on the right side of raid (so the acid pool doesn’t come under them). If you go with 3 tanks, then the 3rd tank will be behind the raid tanking the red scorpions. Nuke small adds first (Crystalline and Acidmaw), then go for the red ones (Volatile scorpions). On right side where off tank is. Nuke the small scorpions first. Then nuke the red one. Make sure that you are not in front (180 degrees) of boss. Move back behind boss when adds are dead. If you have 2 tanks, beware off main tank getting extra damage because of red scorpion adds. In general, tanks will take a lot of damage from adds. The boss has a skeleton of crystals that covers him, protecting him from damage. This skeleton cover decreases damage taken by 25%. When skeleton cover is destroyed, the boss is stunned for 15 sec and takes 100% more damage. When the skeleton cover breaks off, a Crystalline Fragment breaks off, called Broken Shard. This broken shards lands on random positions, and does Arcane damage on impact. The exoskeleton regrows on the boss and increases damage done by 10%, and stacks. As usual, focus adds when they spawn. Attack boss when/if there are no adds. Make sure to cleave damage/aoe adds so boss gets hit as well. Use cooldowns and burn the boss only. This lasts for 15 sec. Timewarp/Bloodlust should be used here. When 15 sec passed and boss got his skeleton cover back on, then go back to adds again. The boss has an energy bar, and after certain amount of energy, he smashes the ground, creating a shockwave, which inflicts Nature damage and knocks players back. This knockback also destroys Broken Shards. Shards are randomly spawning on the platform. Run behind a broken Shard to avoid dmg. Remember that the shards will be destroyed after each shockwave. The boss has a 3-4 sec cast time on shockwave. This means that you have to plan where to run before this happens, and if you are too far away, then you need to move before boss even casts it. 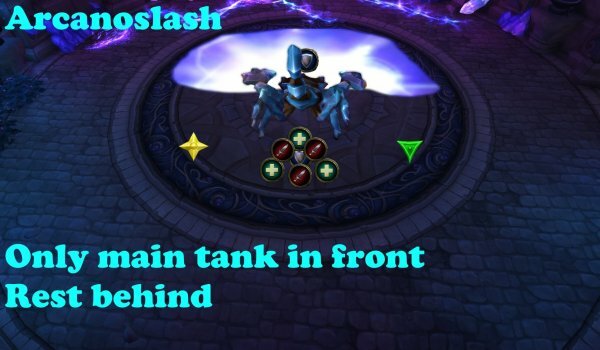 Main tank must look where the Shards are landing and tank the boss accordingly so that the shards are not in front of boss. Main tank also runs behind a Broken Shard. Slashes all targets in a frontal 18 yard hemisphere doing high Arcane damage. 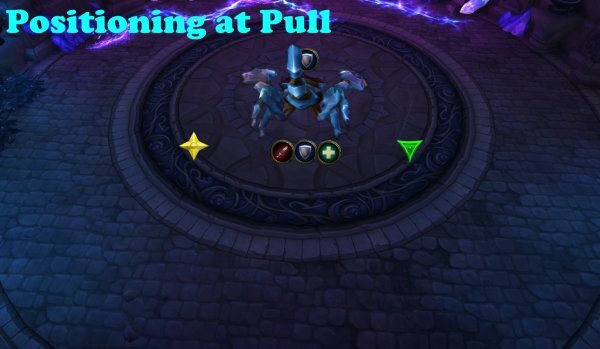 Tanks gets a debuff called Arcane Tether that does dmg every second if they stand within 10 yards to each other. Only main tank stands in front of boss. Boss does the slash 3 times in a row, use defensive spell. No one else stands in front of boss, not even on the side in front either. Faces a targeted direction, doing high Arcane dmg and stuns targets it hits for 3 seconds. The more players that are hit, the longer the stun lasts. Entire raid (except main tank) moves away from the blast, then moves back to position again. The cast time is 3 seconds, so you need to pay attention and move away. Always keep in mind when boss will cast this, because you will be busy killing adds at the same time.